Handmade by Heidi: Chicken WOW!! Browse » Home » Recipes » Chicken WOW!! I haven't shared a recipe in a while - and I've been holding on to this one for a few weeks. So I figured it's time to let you in on this wonderful dish! Step 1: Take 6 oz (3/4 of an 8oz brick), 2 of the minced garlic cloves and 1/2 tsp of black pepper. You can also add some herbs to this. Maybe rosemary or thyme? Get creative if you want. Step 3: Use your hands or the handle of a wooden spoon to carefully separate skin from meat of breast, thighs and legs. Being careful not to tear the skin. Step 4: Spoon cream cheese mixture up under the skin. This is the messy part.. get your hands in there and spread it around. Step 5: Salt and Pepper the outside and place 2 lemon halves inside the cavity of the bird. Place chicken in shallow baking dish and brush with 2 Tbsps of olive oil. Step 7: Place potatoes on a baking sheet. Step 8: Place Chicken and Potatoes in the 375 degree oven on separate racks. Bake for approx 1 1/4 to 1 1/2 hours or until Chicken is done (165 degrees) stirring potatoes every 30 minutes. Place on serving dish.. and enjoy!! ﻿I can't even begin to tell you how moist this chicken was. It was SO GOOD!! If you try it.. I'd love to hear what you thought! It sounds delicious. I can imagine how moist it must be. Oh my yum...chickens are on sale here this week! this sounds really amazing, I think I will try it this weekend! Thank you for providing th eperfect solution to the Sunday Dinner dilema. This sounds awesome! This sounds fantastic! I can't wait to give it a try! thanks Heidi i will try this one looks yummy. Yum. I can't wait to try this!!! Thanks for sharing. I couldn't remember where I saw this, but hubby and I tried it last week. We put some lemon zest in with the cream cheese, and he added several herbs. It was deeeeliscious! We will be having this again! Grab the Friday Night Sew-In Button!! The next Friday Night Sew-In will be May 17th!! Sign up coming soon! Just your average Mom with 2 adorable boys who make me laugh everyday. Recipes I love enough to share! 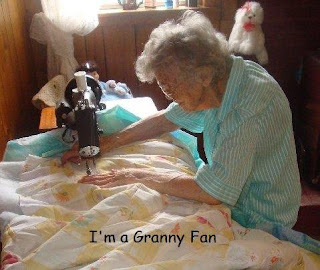 Click Granny's picture to read her story! Breakup's can hurt! Click her picture to read her story. March Friday Night Sew-In.. Sign up now! !